If your nonprofit doesn’t have a mobile strategy on its radar, you need to develop one. Why? While web-based email went down in 2010, mobile email went up 36% in the US as we reported last week on Frogloop. 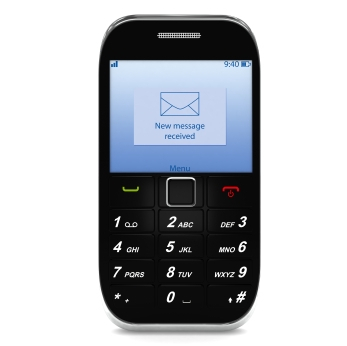 Nonprofits can no longer afford to ignore mobile email. Moving forward it’s important that nonprofits think about how their action alerts and fundraising appeals look on mobile email and ensure that they are focused and easy to read with a clear call to action. “Mobile email marketing design is smoking hot,” says Shane Ketterman of Copy Blogger and it’s a communications tool that’s continuing to grow. Ketterman shared some tips that organizations should start using ASAP to get better results with mobile email marketing. 1. Include a plain text version of every message. “It may not be pretty like HTML but it is at least clickable on some platforms and if that causes one even one more conversion, it was worth it,” said Ketterman. 2. Keep text links uncrowded and make them standout from each other. Your members are reading on a very small screen. 3. Don’t use large images links. They can be time consuming for users to download. 4. Use a good subject line to catch people’s attention. Battle of the inboxes happens on mobile too. 5. Use the right alt tags for your images. 6. Have a clear call to action. Don't bury your ask and don't be wishy-washy. Be direct. 7. Test mobile emails on different smartphones. While action alerts or appeals may look great on the IPhone it could look messed up on a Blackberry. Will HTML5 save the day? Maybe, but until then, test, test, test. 8. Does your email provider offer mobile friendly formats and options? If not, contact them about this feature request. 9. Include a mobile style sheet. Check out this overview from Campaign Monitor. 10. And remember don’t write crappy content. What are some of your best tips to optimize mobile email marketing?